Thanks Dienekes. Thanks to you I have been able to pin my Grandma to the Canaries and the the Portuguese and Genovese that fled the Inquisition and used the Canaries as a trampoline to the New World. Thanks for including these important tribes in your calculations! The fact that her top 20 tribes are Spanish reinforces her origins. 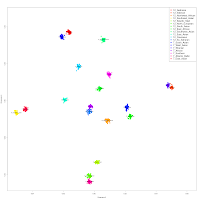 The clusters and FST's sometimes do no make much sense. For example, the FST between North Europeans and Sub-Saharan African is closer than between Atlantic-Med and Sub-Saharan African. 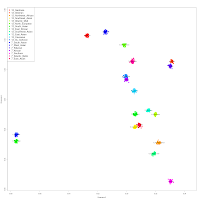 We all know Atlantic-Med populations are closer to Sub-Saharan Africans. 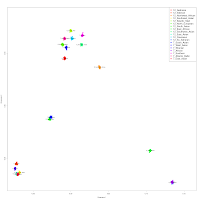 Although this is just a generalized admixture run. 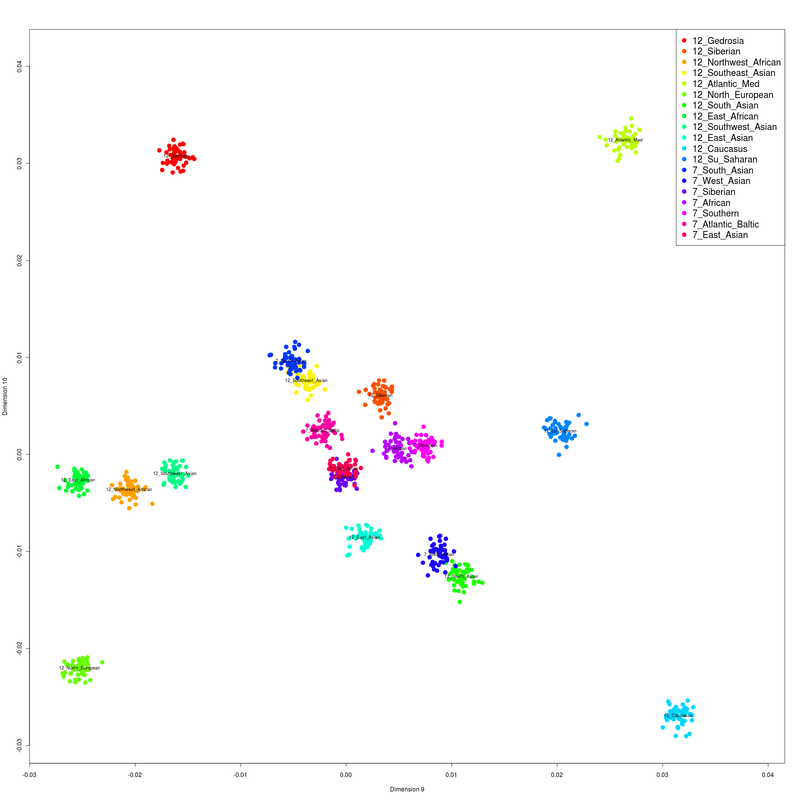 Also, the FST between Southeast Asian and South Asian is more distant than between East Asian and South Asian, so I think, to be more correct, the "Southeast Asian" label is more of a Miao/"pure Mongoloid"-like cluster, rather than deep Southeast Asian related to the Indonesians, etc. We all know Atlantic-Med populations are closer to Sub-Saharan Africans. 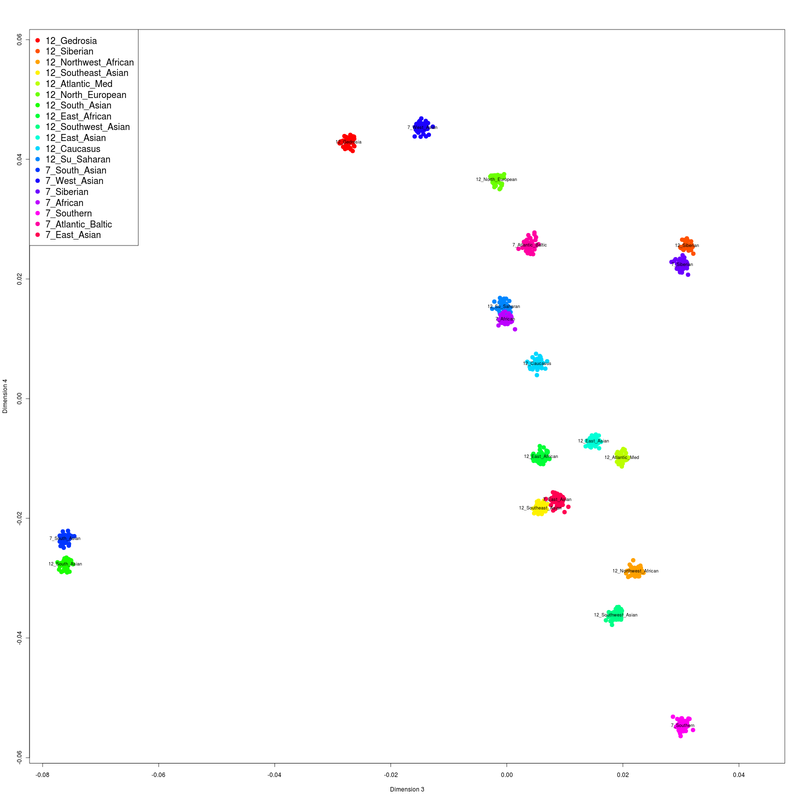 Although this is just a generalized admixture run. 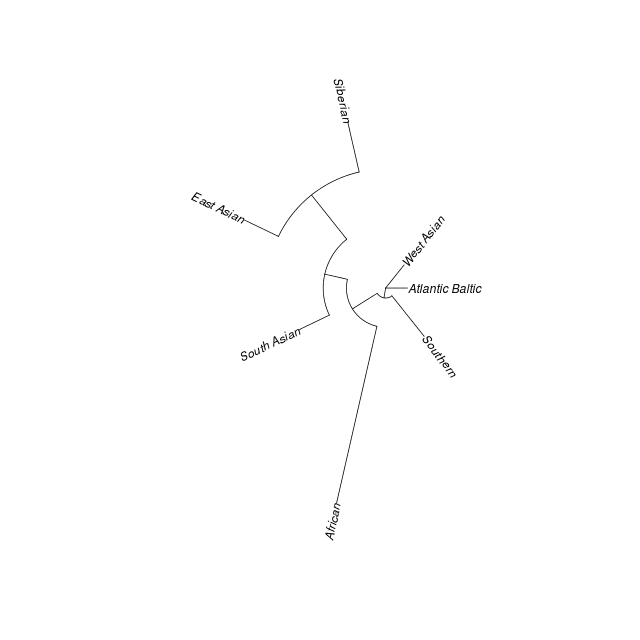 You are confusing Atlantic_Med _populations_ (that contain admixture with other components, including African and Near Easter ones) with the Atlantic_Med _component, which does not; also, the center of the A_M component is not closer to Africa along land routes than the center of the N_E component is. Also, a difference of 0.183 vs. 0.185 is not significant. The "Southeast Asian" component is not limited to Mainland Southeast Asia; it is also strongly modal in the Philippines where an Austronesian language is spoken. Given that it is also strongly modal in Cambodians (Austro-Asiatic) and Dai (Tai-Kadai), it certainly appears to be a general Southeast Asian component, rather than limited to any language group (and the Miao are actually not particularly strong in it in comparison to these other populations). 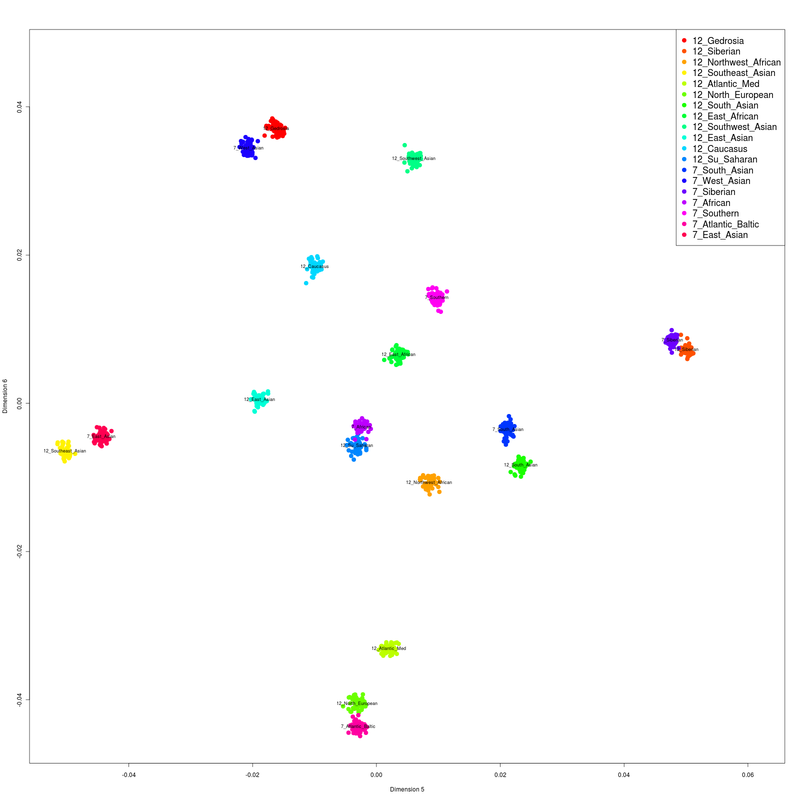 The Portuguese bar plot doesn't seem correct, I'm DOD074 and I can't find myself in it. I keep getting French at the very top of my new runs. It would be great to know what province this is from. If this is originating in Normandy, that would strengthen one of my hypothesis of how my R1a1a ancestor entered Britain. It either had to be via a viking settlement in Norfolk (surname Packham), an Anglo Saxon invasion (surname de Paecam/Doomsday Book), or a Norman invasion (surname de Peche). I can trace my paternal ancestors to 1790 Sussex England but no further. Eventually it would be great if you could eventually make like Great Britain9, a France9, a Spanish9, an Italian9, a German9 etc. That way the instruments will be far more precise and will help us tap into our deep roots and verify our family history. Again. Thank you for all your hard work! Which Filipino populations did you use as a matter of interest? I've noticed an enormous difference between the V3's and k12a/K12b's Caucasian components distribution. Do you think that the addition of the Yunusbayev's samples was the cause of it? Do you think that a better sampling of other regions will also change the big picture in such a dramatic way as the Yunusbayev's did ? I don't know what you mean by "enormous difference". In the case of Western Europe, for which you are probably interested, the levels of the Caucasus/West_Asian components are definitely not comparable across calculators, since 'dv3' used a "West European" category that the other calculators do not, and which was shifted toward West Asia relative to the other "East_European" component. The additional step of distant relative filtering may also have influenced overall component levels in some cases. Its overall effect is to preclude the creation of population-specific components. Such filtering did take place during 'dv3' for populations with known sets of apparently distantly related individuals (such as the HGDP Arab groups), but it was done with a uniform procedure across all populations in K12a/b. Isn't there a portrait for Romanians_D? I can't seem to find it. The only one visible seems to be the one with the 2 Gypsy-admixed individuals. I know that the West Asian component in DV3 is different from the Caucasian one in K12a/b, but still they are both modal in the Caucasus. Being said that, their distribution in Western European is completely different between one and the other. As you can observe the figures for the modal value remain the same while in Western Europe the figures are inverted. No, since 4 individuals were included in the final dataset, and only portraits for populations with 5+ individuals were included. Being modal in the Caucasus is irrelevant, since, as I've explained 'dv3' includes 'West_European' which is partly West_Asian in the scheme of K12a/K12b. 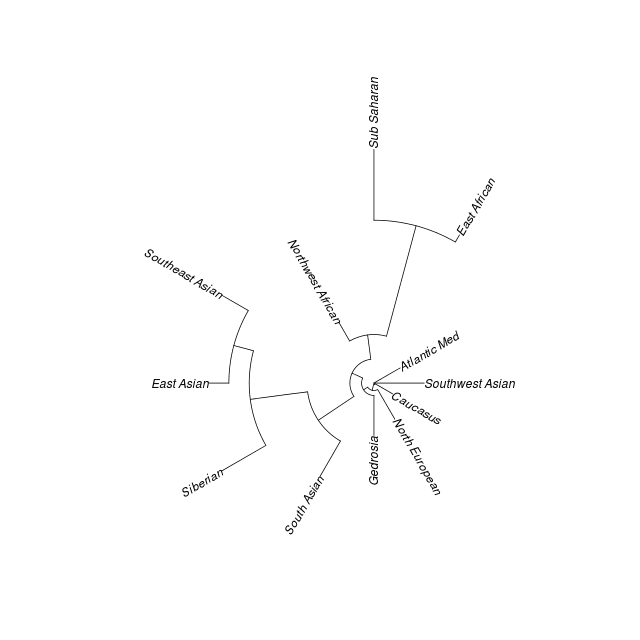 Also, the main West Asian related component in the British Isles is the 'Gedrosia' one, rather than the 'Caucasus' one. 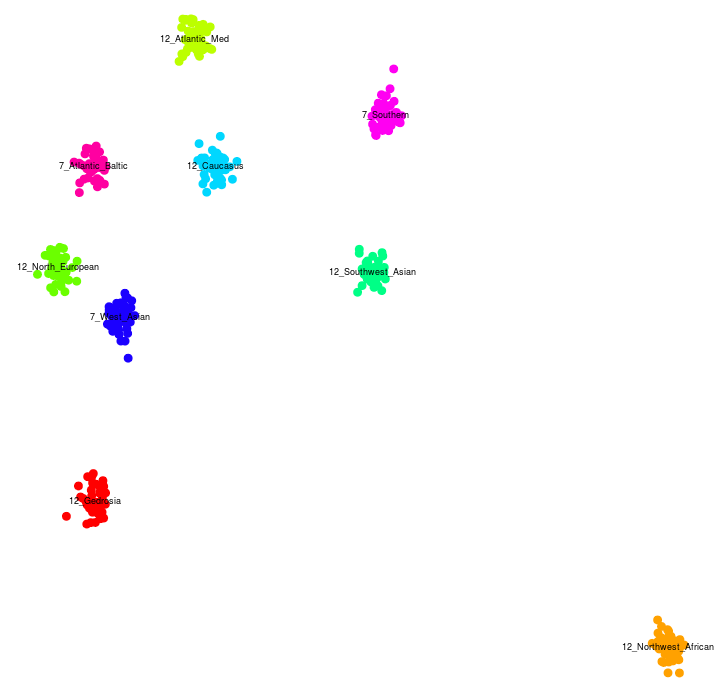 The relationship between Northwestern Europeans in 'dv3' was evidenced by presence of 'West_European' component in South Asia, and in K12a/K12b by presence of 'Gedrosia' component in NW Europe. The 'Gedrosia' component is related to the 'Caucasus' one. 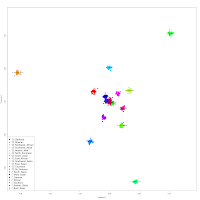 K12a/K12b is more accurate than 'dv3', due to pruning of distant relatives and being a pure pan-Eurasian test, whereas South Asians were treated as a framing population in 'dv3'. Yes I know the runs are different, but my initial question was about the Yunusbayev samples and its contribution to the K12a/b analysis. So, were they very influential or not? To answer that question, one would have to repeat the ADMIXTURE experiment without them. One thing's for certain, that if one did so, they wouldn't get anything similar to 'dv3', because of the different methodology, irrespective of any additional influences of the Yunusbayev et al. samples. I'm not sure why Cambodians have 1.8% Siberian admixture (the modal among Nganasan), whereas it is absent among Chinese and Japanese. 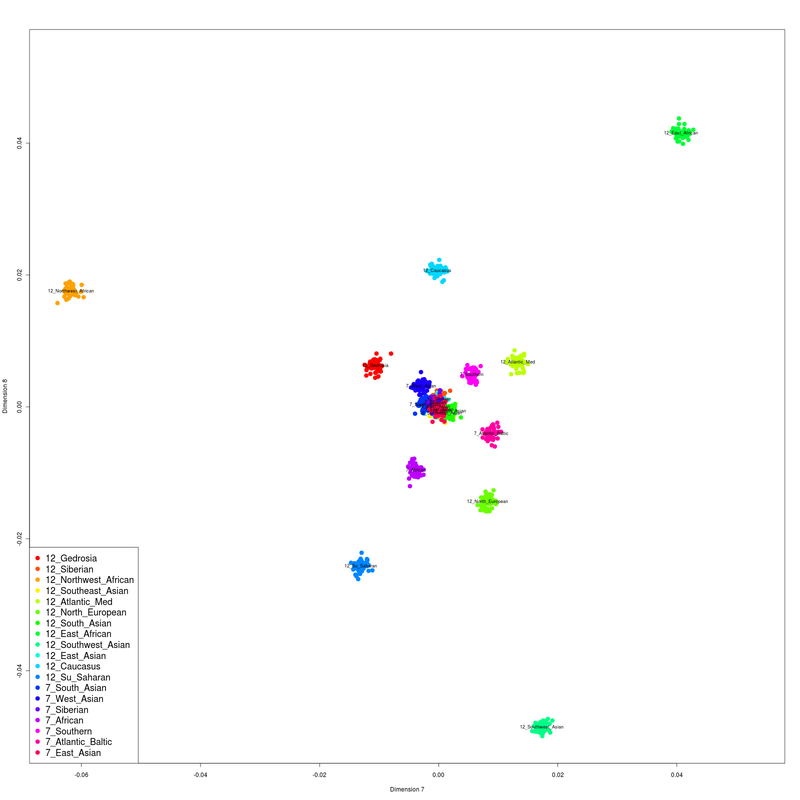 I understand that the Cambodians have many components however I think it really shows the inaccuracy of correctly assigning the correct mixtures of clusters to populations using ADMIXTURE. I'd imagine that this is related to the historic migration of Tibetan Plateau populations, down into South East Asia. Why was I with ID DOD322 removed from a Dodecad population? Cambodians have low levels Australasian affiliation (see 'world9'); in a calculator that does not include an Australasian reference, that component gets distributed in the other Asian components. Dienekes, can I ask what happened to the S_Italian_D population? I am interested to know more about the difference between k7b & k12b, since they give me pretty different results. My ethnic group on paper would be CEU. My V3 results seem pretty compatible with my k12b. It seems, however, when you pare down the groups to only 7 types, I become much more Middle Eastern than I ever imagined. I believe I have one ancestor who was Sephardic Jew from Denmark at 1/64 inheritance. And 1/64 that may come from the Canary Islands, but also from Denmark. A lot of English, Scottish and Danish. Some Irish and German and French Huegenot. 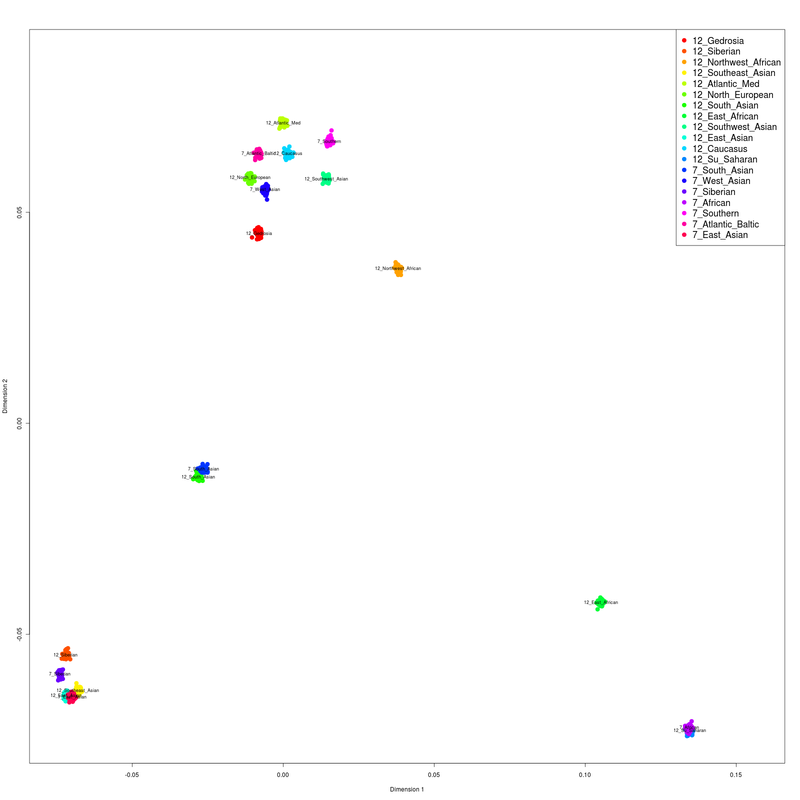 And some what you would maybe call Neolithic Farmers from Sweden (t2a1a mtdna). My dad's k7b says he could have some Moroccan and/or Mozabite but at around 2% or less. Doug McDonald classified me as 100% British, although it shows some Middle Eastern on the X chromosome.... Are any of these results typical for your average British person? I know not to take the percentages too literally, but I just want to know if some of this could be happening for many mostly British people. Yes I would also like to know the difference. Very good question. I also get different results. I second this! in k7 i am 26% siberian and 70% NE asian, while in k17 I am 26% SE asian and 70% NE asian. (numbers are not accurate but give you the big picture here). Why? I'd appreciate your time to explain this. I am wondering where my Scottish ancestry is. I know it's there as I am descended from the Orr clan. I get Cornish/Welsh and some Irish as well. I have a bit of German that shows up but really my Scottish results seem low. 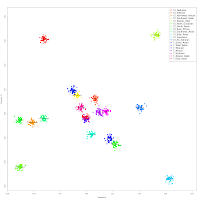 What is really the difference between Scots and other Celtic groups on a genetic level? In your K7b Admixture calculator my result includes Southern 0.13%. What population group is it? 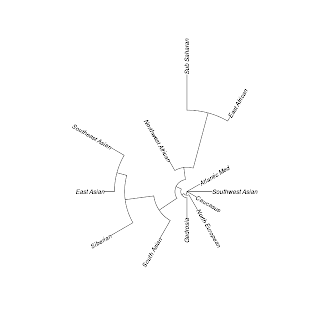 In my K7b admixture calculator result it includes Southern 0.13%, among others. What population group is Southern? I recently tried the Kb7 Oracle option 2 on gedmatch.com and my grandma got like 41% Canarian. Only two out of dozens I analyzed got more Canarian than her. One is a pure Canarian and another is of known Canarian descent from Uruguay and is my grandma's 3rd cousin. I was wondering where those Canarian samples specifically from. Where they from Las Palmas Canaries or Gran Canaria Canaries? That may explain the disparity in percentages between the three subjects, since the three subjects in question seem to be from different Islands. But then again on calculation 1 of the Dodecad kb7 Oracle X my grandma shows with around 60% while the other two subject I analyzed show up in the 90 percent range. I suppose this is because Grandma ancestors mixed with Native and Tropical African, so her percentage would be necessarily lower then those of pure Canarians. But there seems to be no doubt that her main component is Canarian. Makes sense. Last time I checked the @ xxxx number is the closer it is the closer a relation is. The Kalash have little to do with Germany and yet according to 1? I am 97% german and 2.4% Kalash with a 0.96 distance. Dienekes, I suggest you to come over to Bulgaria, find a way and take a look at EVERY single bulgarian born man here and if you find atleast one man with with even small north african admixture, just let me know, because this is total nonsense (I could use way rougher words here). And I'd like to know how did you end up with these results. 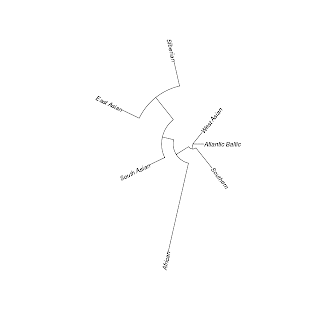 I can paper trace my mother's ancestors to Catalan, Sant Feliu de Guixols. The oldest ancestor I have knowledge is Onofre Basart born abt. 1495. After him a long line of Catalans but no approximation even mentions this group. I always get approximations to Basques, Italians and French. Why would that be?